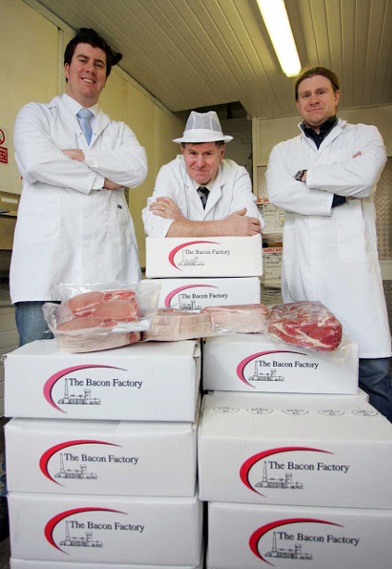 Established in 2007 we've grown rapidly, and now deliver bacon goods across the length and breadth of the UK. With over 40 year experience in preparing and slicing bacon, we are one off the UK's leading suppliers and provide a large range of bacon. We pride ourselves on our knowledge and expertise which has been past down from father to son. Our bacon goods are prepared by hand by trained professionals to ensure you get the best bacon every time. Our bacon products have travelled and seen all 4 corners of the globe. We have built a strong export trade serving the likes of supermarkets for ex-pat communities in Europe or sending our goods as far afield as South America and The Middle East. At The Bacon Factory, we go the extra mile! We'll help design you a label, pack into catering or retail packets, smoke it, cut it thick or cut it thin. We'll always try and get the product just right for you, so don't be afraid to ask! 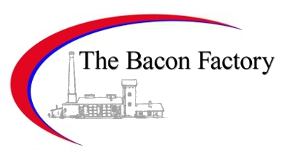 The Bacon Factory are a family run, independent bacon suppliers providing only the best bacon products to both personal and retail sector clients. The company was started by John and Christopher Hardman, a father and son team who have over 40 years experience. They were soon joined by second son Matthew and under the Hardman family the company has gone from strength to strength built on a commitment to the best products and service. We specialise in solving problematic requests which others might deem too difficult, creating a reputation for going the extra mile. We want to get our products right for you, so please make sure you let us know what your customers expect and we will deliver! We are also passionate about getting involved in our local community by raising money and awareness through our charity work. If you are a retailer some times size can mean everything. It can mean the difference between making or losing a sale because of the perception that the smaller packets are better value. We can alter the weight of our product packets from a standard 2.268kg catering packet, right down to the smallest retail sizes of say 400g or even 200g. We'll always try to get the best price and deliver to your door. Buy in bulk and pay promptly and we'll always look to make you a special offer. For more information, contact The Bacon Factory today.